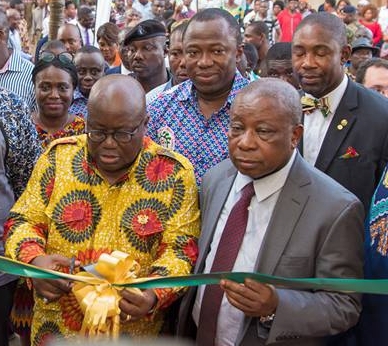 Sierra Leonean Nurse Anaesthetist Lamin Fofonah recently spent four months on an Anaesthetics placement at Korle-Bu training hospital in Accra Ghana. 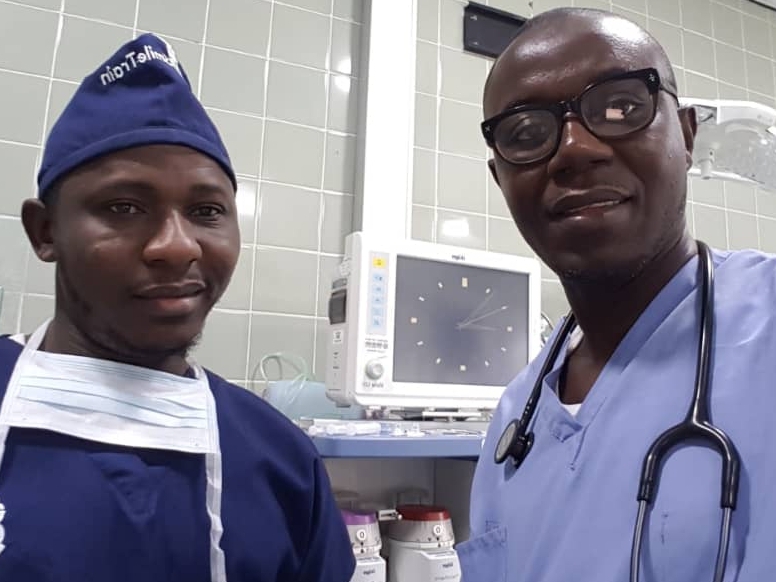 He is pictured here on the left with Sierra Leonean Anaesthetist trainee, Dr Mohamed Kargbo, who is also placed at Korle – Bu. 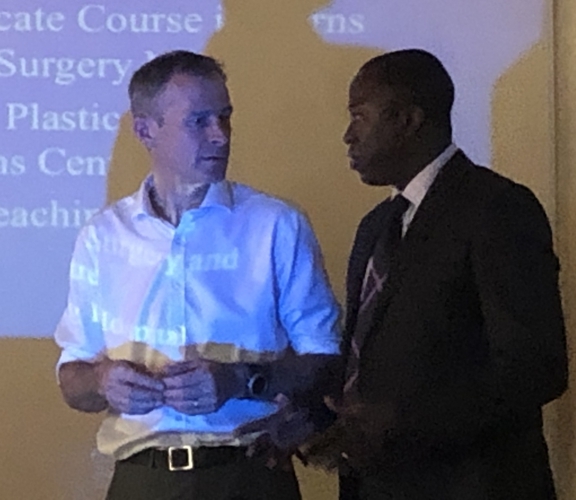 Dr Kargbo is currently part of a surgical team visiting Holy Spirit Hospital in Makeni, Sierra Leone, alongside Ghanaian Reconstructive Surgeon Mr Edem Anyigba, Sierra Leonean Reconstructive Surgeon trainee Dr Abdulai Jalloh, Ghanaian Anaesthetist Benjamin Bediako, and Nurses Anita Akoto and Benedicta Appiah. Anita and Benedicta have recently returned from a 3 month nurse training placement at Ganga hospital in India, and have used this time in Sierra Leone to pass on new skills to the HSH nursing cohort.